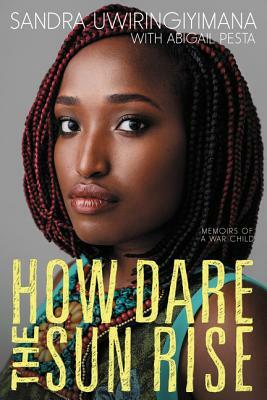 This profoundly moving memoir is the remarkable and inspiring true story of Sandra Uwiringiyimana, a girl from the Democratic Republic of the Congo who tells the tale of how she survived a massacre, immigrated to America, and overcame her trauma through art and activism. Sandra Uwiringiyimana is co-founder and director of partnerships and communications at Jimbere Fund, an organization that aims to revitalize distressed communities in Congo by investing in women. Since her family’s resettlement in 2007, Sandra has fought hard to call for justice for the Gatumba massacre and has become a voice for women and girls, refugees and immigrants, and forgotten people like the Banyamulenge Tribe. In telling her story, Sandra has shared the world stage with Angelina Jolie, Hillary Clinton, and Tina Brown at the Women in the World Summit. She addressed the United Nations Security Council at the request of Ambassador Samantha Power to plead with world leaders to act on the pressing issue of children in armed conflict. Sandra is finishing her studies in New York City. Abigail Pesta is an award-winning journalist who has lived and worked around the world, from New York to London to Hong Kong. Her investigative and feature reporting has appeared in global publications, including Cosmopolitan, the New York Times, Marie Claire, the Wall Street Journal, Newsweek, Glamour, the Atlantic, New York magazine, and many others.